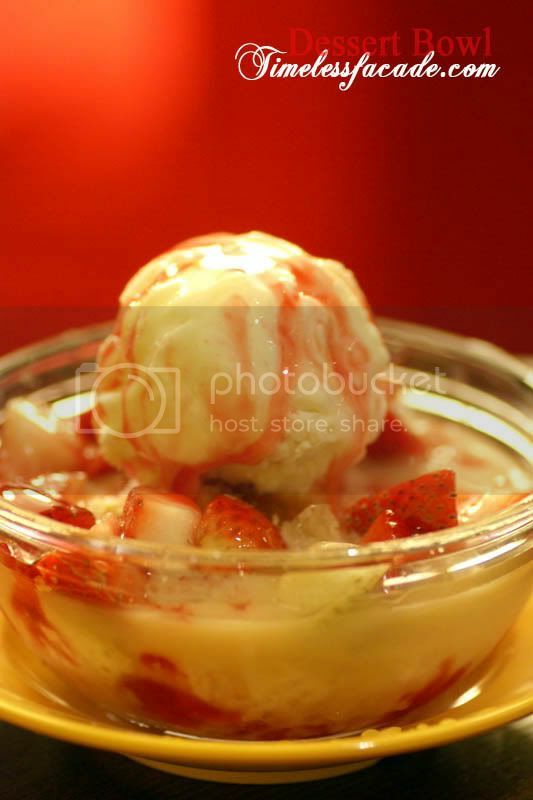 A newcomer has burst onto the dessert scene at Serangoon Gardens, which already hosts popular dessert outlets like Frolick, a yoghurt specialist and Ice Cube, which sells ice cream and the like. 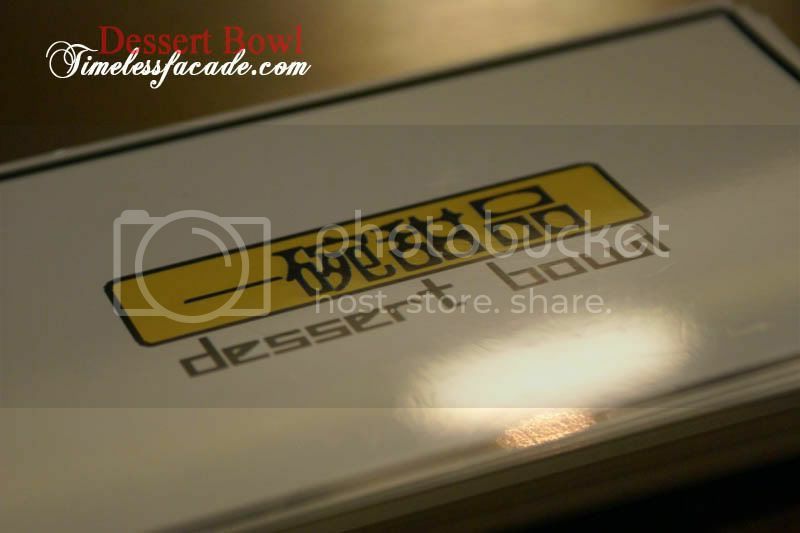 However this new dessert place, aptly named Dessert Bowl or 一碗甜品, caters to people who prefer Chinese desserts. 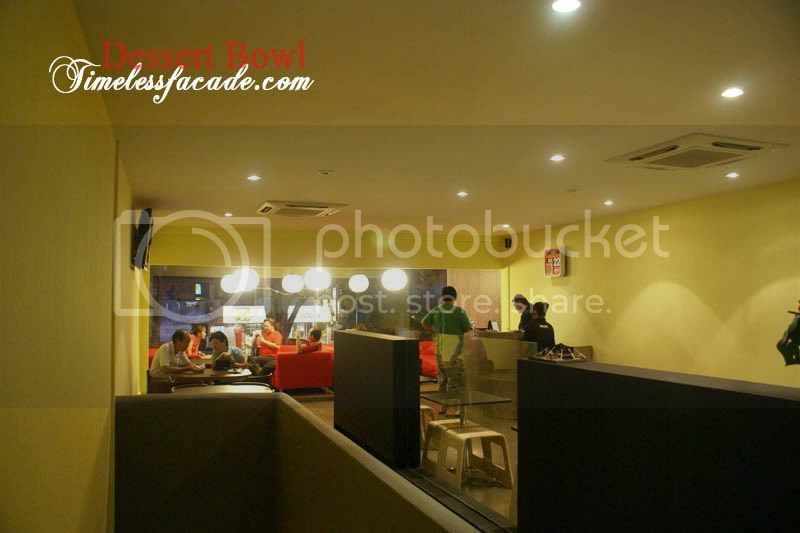 Opened only about a week ago, Dessert Bowl can be rather difficult to find, given that its on the 2nd floor and plays neighbour to a pub along a quiet row of shophouses that houses OCBC as well. 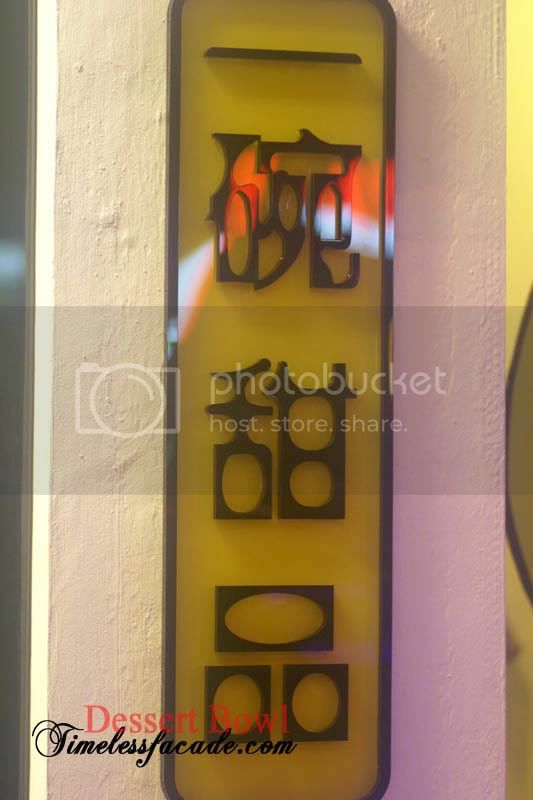 It definitely doesn't help that the signs are not prominently located. 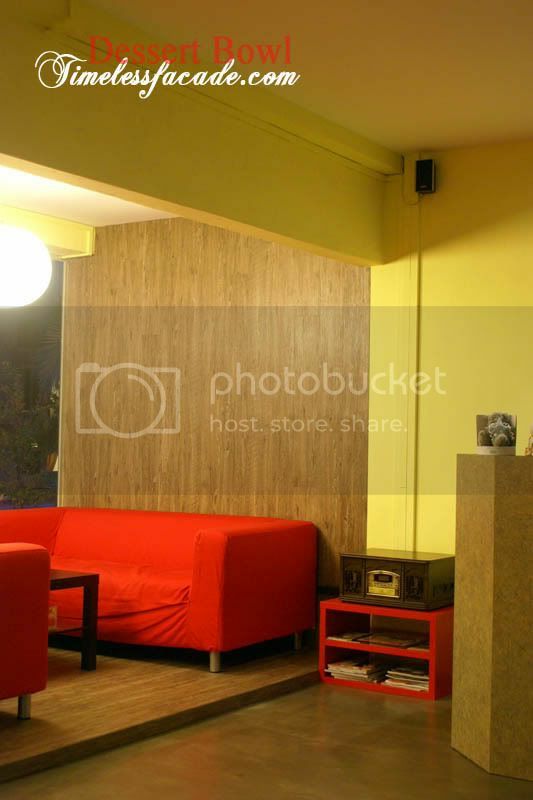 However make your way up and be rewarded by the sight of a brightly lighted cosy area which can probably take about 30 people or so. If you are lucky, you might just get one of the 2 sofa seats that overlook the roads below through the huge glass windows. 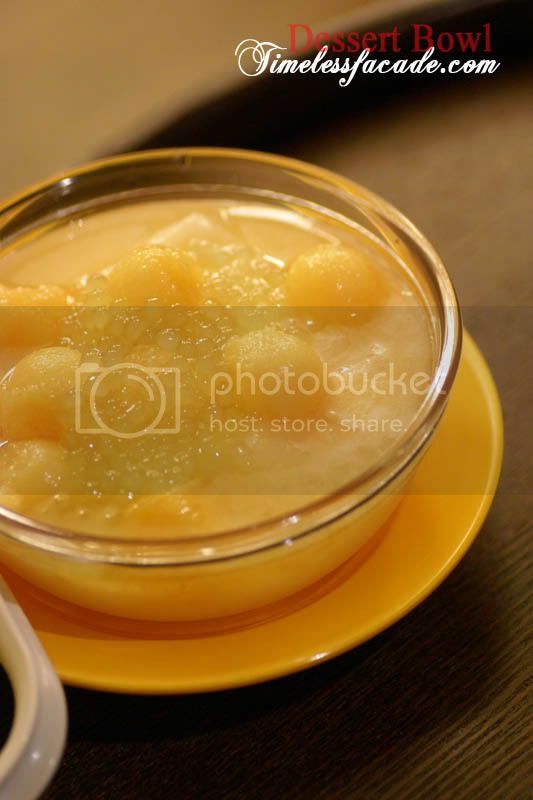 A very typical Chinese dessert, the rock melon sago wasn't outstanding and I personally found it a tad too sweet. But having said that, I don't remember the last time I had a rock melon sago that made me go wow. So maybe its just me. I didn't get to try this but from what I understand, the strawberries were very sour but other then that, no other complaints. 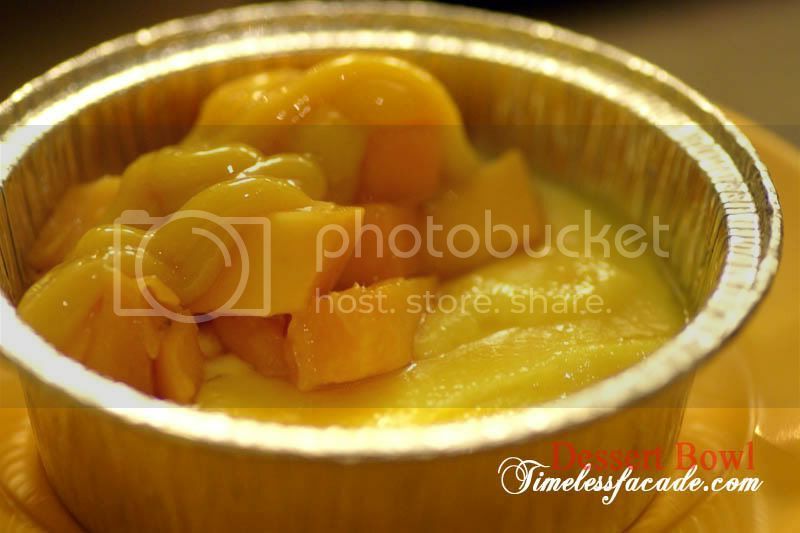 My original order of the Durian mousse was sold out so I thought I would try something a little different, namely the Mango De Creme, which was essentially custard with toppings of mango cubes and puree served up in a tin foil container. The custard came across as smooth and firm, very much like the texture of creme brulee. I'm not sure if it was effort on the part of the shop or pure luck that the mango cubes were sweet but I'll give them the benefit of the doubt. Overall a rather enjoyable dessert. 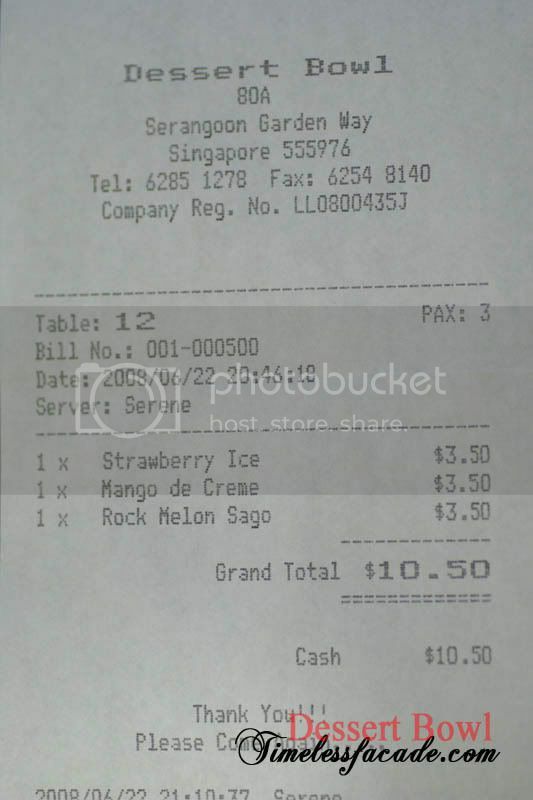 I don't really eat alot of Chinese desserts so I'm not sure if $10.50 for 3 desserts is considered expensive. But personally I think its still acceptable especially when this is definitely a cheaper alternative to Ice Cube. The dessert menu is rather extensive and that would probably be a good reason for me to drop by often for an after dinner dessert session. New discovery for me. Didn't know about this sweet new neighbour till I read your review.